Welcome to The Lifestyle Center, the premier medical spa and anti aging clinic in St. Louis. Dr. Richard Moore and his team of friendly, expertly trained health care professionals look forward to providing you with state-of-the-art aesthetic care in our luxurious, yet down-to-earth facility. Dr. Moore and his team have worked together for years, and we love what we do, so we know how to coordinate all areas of our practice to provide the best treatment for each individual patient. 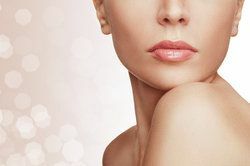 To enhance the level of care we give our patients, we constantly research new methods and techniques for facial rejuvenation and body enhancement. We are truly invested in the health and happiness of our patients, so the goal of every treatment, from BOTOX® Cosmetic injections to Tickle Liposuction, is to help you feel better about yourself, both inside and out. Contact us today to learn more. Since you are researching your options for enhancing the appearance of your face, skin, and body, you probably have some idea of what you want to look like at the completion of your treatment. To help establish realistic goals, we will discuss your medical history, current lifestyle, and budget. We will also perform an evaluation of those areas you wish to change. Next, we will discuss different treatment options in detail so you can make well-informed choices about your cosmetic care. We will only recommend treatments that can help you meet your goals; we never pressure patients into excessive or unnecessary treatments. We will determine a combination of facial rejuvenation techniques, such as FotoFacial and Venus Legacy, that can turn back the clock, helping you to look rejuvenated and vibrant. We have taken great care to create the luxurious surroundings of our medical cosmetic and laser center, but that does not mean our services are outside of your budget. We strive to offer our patients competitive pricing on all of our innovative services. We frequently offer seasonal specials on different treatment packages, and we partner with several third party companies to help you finance your treatment plan at low interest rates. Don't wait any longer to achieve the rejuvenation you desire. Contact us today to schedule your free initial consultation.